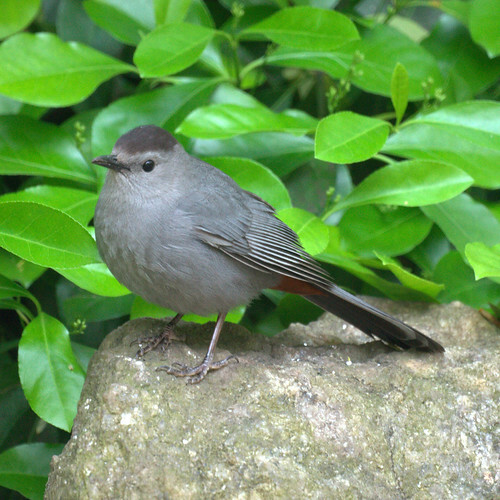 We look forward to the return of the gray catbird. Sometimes, this bird sounds like a crying baby. Sometimes, the catbird sounds like a cat. Sometimes, it has an upbeat, silly song. 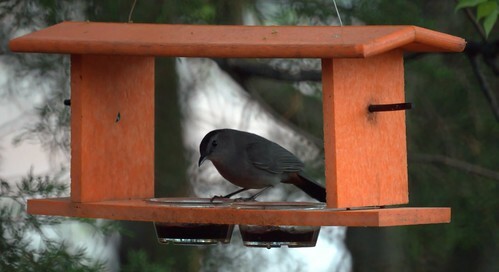 Catbirds eat insects and come to jelly feeders. I just had a pair of catbirds come to my feeders here in Manchester, NJ. They are beautiful. I can't wait to capture one with the Nikon.